The intention when producing green tea is to preserve the natural and medicinal qualities of Camellia sinensis. After the leaves are picked they are left in the sun to wither. They are then either pan fired (China), steamed (Japan), or rotated in heat cylinders (India). This process prevents the leaves from oxidizing. Next the leaves are rolled giving them a distinct appearance while helping to regulate the release of the natural substances and flavor during the steeping process. In the final step the leaves are dried by firing. This preserves the natural fragrances and flavors. Green tea produces an astringent and flavorful infusion that is golden green in color. The medicinal properties of green tea come mostly from the polyphenols which are powerful antioxidants found in fruits, garlic, potatoes, and some varieties of nuts. There are many kinds of polyphenols, but the catechins (polyphenols in tea) may be the strongest and most remarkable of all. There are five major types of catechins in green tea, of them epigallo catechin gallate (EGCg) is the most potent and has the highest level with the broadest spectrum of cancer fighting activity. A cup of green tea contains approximately 40-90 mg. of EGCg and approximately 20 milligrams of caffeine. One of China’s best-known teas, Gunpowder is said to be high in fluoride and other minerals. The silver green, tender buds and tips are rolled into loosely balled pellets that brew to a light amber cup, with a good body and a light lemon after-taste. Jasmine Tea is a famous tea made from Green or Pouchong (Chinese Green) tea leaves that are scented with jasmine flowers. The jasmine flowers are harvested during the day and stored in a cool place until night. During the night, the flowers bloom with full fragrance. 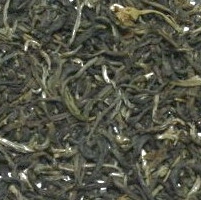 The flowers are layered over the tea leaves during the scenting process. The quality of Jasmine tea is determined by the quality of green tea used as its base and the effectiveness of the scenting. 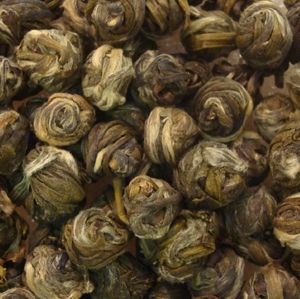 This is a mid-grade Jasmine tea and is one of our most popular teas. 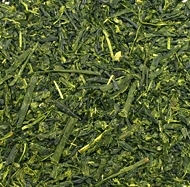 Sencha is the most widely enjoyed green tea in Japan. You'll find it everywhere you turn, in varying grades. It can be recognized by its shiny, needle-like shaped tea leaves with strong fragrance. 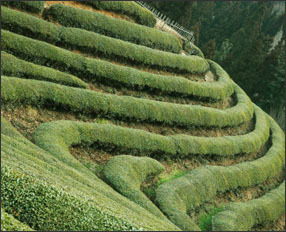 Along with the springtime blossoming of cherry trees, the first harvest of sencha is highly anticipated and celebrated. It's thought to be the first taste of the coming year in tea, and very lucky to give as a gift. This first harvest is referred to as "shincha". 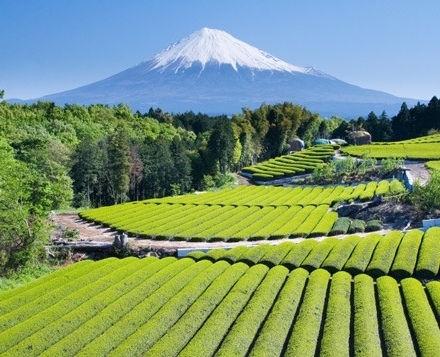 The tea plants used to make sencha are grown in full sun. Processing is a series of six steps that begins with steaming (halts oxidization, preserves the color, aroma and taste). The leaves are then partially dried and machine twisted, making them soft and pliant. This step is repeated, with a second round of drying and twisting, resulting in increased fragrance and needle-shaped leaves. A third round of drying finishes the process. The tea then is hand-sorted to remove any stray stems. Sencha can be enjoyed right after being made (needs no maturing), and generally has a 6 months shelf life. Brewing: The key with sencha is to use soft water at a low temperature with a short steeping time. It's a delicate tea, and does well made in a small vessel like a gaiwan or kyusu. Bancha Tea with toasted brown rice. One of the most unique teas, rice gives the tea a slightly nutty flavor. Delicious straight, or with a touch of sweetener, we think you'll like this Japanese staple. Great as a unique gift! Sencha with All Natural Flavors. One of our most popular iced teas we serve in our tea house! Delicious over ice, this is a very popular tea of ours. Another one of our very popular iced teas served in our tea house. Delicious over ice, this is a crisp and light, refreshing tea. 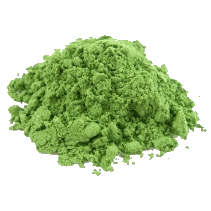 Also known as ‘Powdered green tea’ and traditionally used in ‘Chanoyu’ - the Japanese Tea Ceremony. 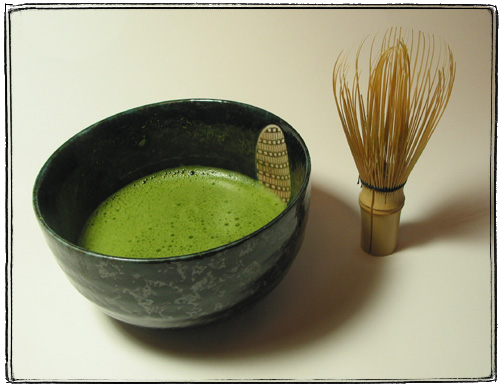 Matcha has a special spiritual significance in Japan. 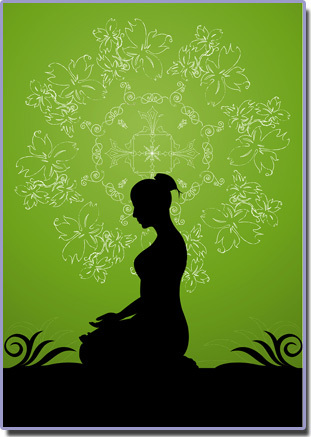 It is said that a person operating within the rules of Chanoyu finds the five senses working at their fullest. 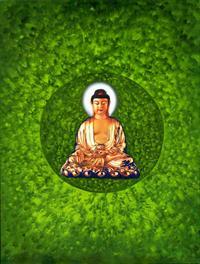 Matcha first began its rise in the popular Japanese culture through Zen Buddhist Ritual in the 12th Century. By the 13th it has also been embraced by Samurai Warrior Culture, and thus the foundations of the tea ceremony were laid. Just as Matcha is essential to Japan’s traditional art of the tea ceremony, a cup of Matcha brings about mental concentration, emotional stability, and composure of the mind. Many people are surprised to discovered that matcha comes from the same plant as all other teas (Camelia Sinensis), and is the world’s most nutritious know natural beverage. Unlike black tea and green tea whose ingredients are infused in water and discarded, Matcha has ingredients that can be utilized fully to activate the organic functions of human body. It is a beverage good for both the mind and the body. In addition to the plethora of benefits found in the powerful antioxidant, EGCG, which is found in Matcha, this organic Japanese import has appealed to one crowd in particular; the increasing numbers of holistic, alternative healing, health conscious and Yogi population have all welcomed this high quality green tea into their daily lives because it is commonly known to assist in meditative focus, calming and relaxation. Matcha contains essential vitamins and minerals and has shown long term health benefits due to its many disease fighting nutrients. It has 9 times the beta carotene of spinach, 4 times that of carrots, and approximately 10 times the polyphenols and antioxidants of regular teas. In making this tea, the tea plants are covered with bamboo mats in the last few weeks of their growing season to promote full flavor. After the leaves are plucked, they are immediately steamed to spread the chlorophyll throughout the leaves and stop any oxidation. The leaves are then dried and rapidly cooled. 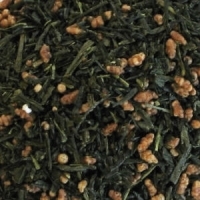 The resulting dried product is called rough tea, or Aracha. Aracha is then cut into small pieces and the twigs, veins and stems are removed. The leaves are dried again and the resulting product is known as Tencha. Tencha is then ground by stone mills in a climate-controlled, clean room to produce Matcha. A single mill can only process 40 grams of leaves per hour. The physical and mental benefits associated with the matcha experience have also encouraged creative thinkers and culinary artists from all professions to find multiple uses for this pure green tea. Ice cream makers, chefs, bakers, and creative culinary types foodies across the world are increasingly using gourmet quality matcha. Matcha green tea recipes include everything from green tea latte and green tea smoothies to dessert matcha and ice cream matcha. It is an understatement to say that matcha has come a long way from its sole use in Japanese tea ceremonies. Matcha has a sweet, buttery, and rich oceanic taste. It is ideally prepared with a bamboo whisk in a bowl. However, it can also be prepared in a variety of drinks, shakes, smoothies, ice cream, cookies and other baked goods. A premium culinary grade matcha that still tastes amazing, yet is much more affordable than higher grade ceremonial matcha. It's the highest grade of culinary we could find, so it still has a rich vibrant taste and color to it. A touch less sweet than ceremonial grade, but not as astringent as lower quality culinary versions. Comes in a 1.95 oz tin. Flavor Profile: Creamy, oceanic, slightly sweet & very fragrant. Heat water to 170°-190° and use 1-2 tsp of Matcha per 8 ounces of water, then whisk or use a mini mixer or frother to blend. For a matcha latte add sweetener and creamer. Matcha, Aroy-D Coconut Milk, and a splash of So Delicious French Vanilla Almondmilk or Coconutmilk Creamer.